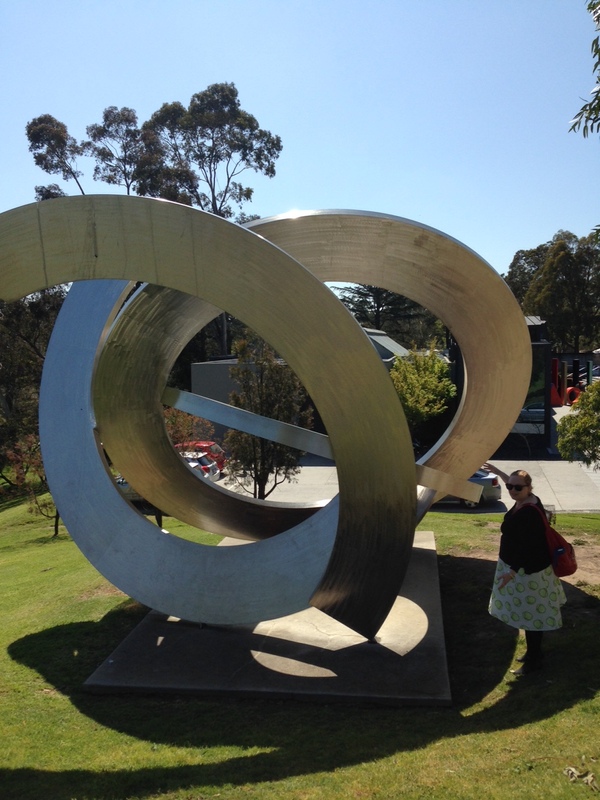 Liz and Ste ph, accompanied by Friends of No Award Ashleigh and Dr Freya, visited the Heide Museum of Art on Saturday! It was VERY EXCELLENT. Also it turns out a Housemate of No Award is RELATED TO THE HEIDE CREW and this has made the world a better place. Heide was home to several significant women of the Australian modernist movement, both patrons (Sunday Reed) and artists (the one named Moya, Joy Hester, etc), so it was rather disappointing that the shop’s range largely ignored them, or in the case of Sunday Reed, seemed to focus primarily on their love affairs. It’s true that contemporary artist Melinda Harper was well-represented in the museum shop (and, in fact, the only well-represented artist in the museum shop), but since she was by far the least innovative artist whose work was displayed at Heide, I’m not sure that’s necessarily a win for women. We (Liz) are saddened by the omission of reproductions from the shop. 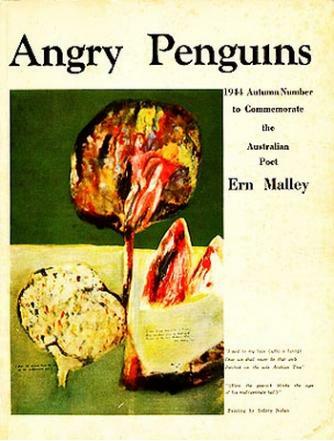 I personally would have paid money for Angry Penguins/Ern Malley merch (reproductions of the magazines and journals: get on that, Heide!) but it’s possible my love of shenanigans isn’t reflective of the wider gallery-attending, product-purchasing community. The standard gallery shop knick knacks such as jewellery and silicon kitchen doodads was supplemented by some very nice gardening products, and the children’s collection featured both the standards, like kinetic sand (NOT vacuum-cleaner-friendly, my brother reports, despite claims to the contrary on the box), along with plush artists and some decent picture books. One disappointment lay in the postcards: very few of the works currently on display throughout the gallery were available in postcard form, and conversely, very few of the postcard images were on display. And I just can’t buy a postcard for a work of art I haven’t actually seen. That would be like wearing a T-shirt for a band I’ve never listened to, only simultaneously much cheaper and much wankier. Overall, I would rate this three out of five potatoes for competence without innovation. Items purchased: many postcards, a set of monster nail tattoos for a Housemate of No Award; a copy of Modern Love. A colouring book. Layout: Heide is stretched across three distinct buildings, two of which were the homes of John and Sunday Reed: atop the hill is Heide I, the farmhouse in which they originally lived; down the hill is Heide II, their polyamorous modern art love shack from the 70s with a totally disgusting wool carpet, and Heide III, with the entry and the shop. Day and Time Visited: Saturday mid-morning, after breakfast at Sookie La La. Rating: 3.5 out of 5 potatoes. Location: 7 Templestowe Road, Bulleen, Victoria. We got there by borrowing a car from a Housemate of No Award. There is also a bus. Love Heide, wish there were more postcards of the sculpture gardens apart from the cows. We all remember the cows! Other stuff too plz.